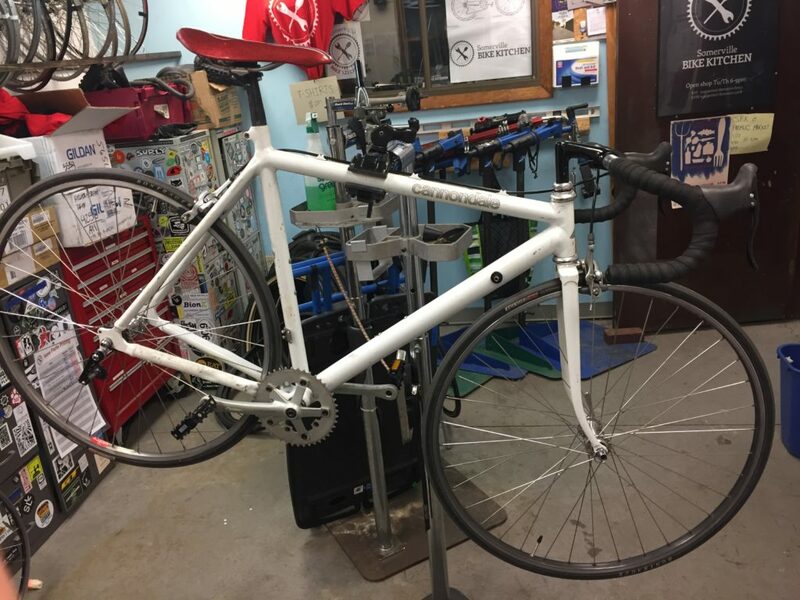 One our SBK volunteers adopted this old Cannondale road bike and has restored it to single-speed glory. Made with 100% locally-sourced SBK parts! This entry was posted in Bike Builds, Teaser. Bookmark the permalink.